Experts once thought that developing and testing an effective stem cell treatment for diabetes would take years. Due to a recent discovery, a cure may closer than we think. In fact, researchers have already started clinical trials for ViaCyte’s PEC-Direct, a stem cell-based implant that delivers insulin-producing beta cells to type 1 diabetes patients. If successful, the novel transplant, likened to a pancreas in a box, could eliminate the need for these patients to inject themselves with insulin. Diabetes is a condition in which the body cannot regulate or properly use sugar in the blood. In Type 1 diabetes, the body’s immune system attacks cells in the pancreas, preventing the organ from producing enough insulin. As diabetics know all too well, insulin helps keep blood sugar levels down and signals other cells in the body to take up sugar. Type 1 differs from type 2 diabetes. In type 1 patients, the immune system damages or destroys insulin-producing cells in the pancreas. These cells stop either don’t produce enough insulin or stop working altogether. In type 2 diabetes, cells throughout the body become resistant to insulin. These rebellious cells don’t respond to the signals insulin sends out, so they don’t take up sugar from the blood. In an attempt to compensate, the beta cells produce more insulin to signal the other cells but eventually are not able to keep up. Transplants are less effective in type 2 diabetes patients because they only replace beta cells and do not address the body’s resistance to insulin. Transplants are far more useful for type 1 patients, replacing broken beta cells with fully functioning ones. Patients manage type 1 diabetes with daily injections of insulin, a method that can be problematic in high-risk individuals. These diabetics also run the risk that their blood sugar levels drop too low, a condition called hypoglycemia. Researchers have been hard at work looking for a cure that will free these patients from their dependence on insulin injections and the risk of hypoglycemia. Recently, researchers have discovered a novel solution. Just last month, California-based company ViaCyte began trials with two patients who have type 1 diabetes. Surgeons implanted the patients with a pancreas in a box named the PEC-Direct device, a contraption containing brand-new beta cells. Pancreas in a box, perhaps? Credit: (c) ViaCyte. The PEC-Direct is a novel invention that encases lab-grown pancreas cells in an enclosure to protect them from the body’s immune system. Think of it as a pancreas in a box. Each of these credit card-sized implants carries insulin-producing cells built from stem cells. ViaCyte designed the implanted cells to mature inside the patient’s body and grow into beta cells that will replace their damaged ones. Surgeons place the implant just below the skin, and it releases insulin when necessary. In a proof concept, researchers previously tested the PEC-Direct implants in 19 diabetes patients using smaller amounts of lab-grown cells. These cells matured into beta cells, however, the researchers didn’t give them enough to treat the condition. Given the promising results of the proof of concept, researchers began the clinical trial, this time using PEC-Direct implants that contain more beta cells. The scientists hope that three months from now, the implanted cells will have matured, and will start producing insulin. 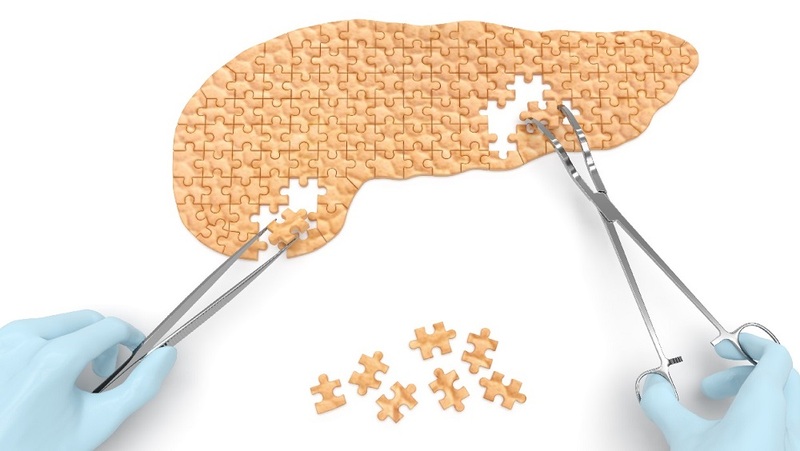 The main drawback to the pancreas in a box is that transplant recipients have to take daily doses of immunosuppressants to make sure their bodies don’t reject the new cells. Still, that’s a small price to pay to be freed of daily injections. Precursor to the pancreas in a box. Photo: © IRCM/Medtronic Inc. The pancreas in a box is not an entirely new concept. Consumer-based insulin pumps emerged in the 1980s. However, they required the diabetic to monitor their blood glucose and calculate insulin doses multiple times every day. The first prototype of a pancreas in a box emerged several years ago. 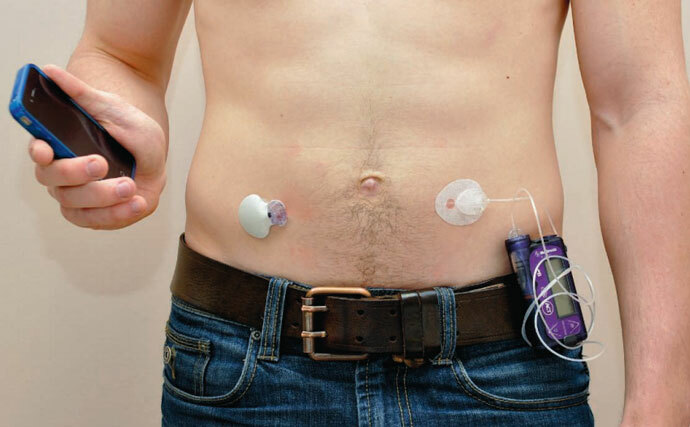 Earlier versions were computer-driven insulin delivery devices, containing sophisticated sensors, insulin pumps, and an insulin reservoir. Driven by a computer system the size of a paperback novel, these mechanical devices tried best they could to replicate the function of the pancreas by producing insulin in response to rises in blood glucose level. For a person with diabetes, used to calculating insulin doses multiple times every day and dealing with the consequences, handing over that responsibility to a computer is daunting. The main drawback to the mechanical pancreas in a box was that the system couldn’t match the sensitivity and responsiveness of a real live pancreas. Too much or too little insulin is dangerous. ViaCyte overcomes this limitation by using real live beta cells in its version of the pancreas in a box. Live beta cells (green) live inside the pancreas in a box. Image courtesy of NIH. Photo by B. D. Colen/Harvard. Replacing dysfunctional beta cells with fresh ones grown from stem cells is nothing new. In fact, researchers first performed the procedure in 1999, before ViaCyte came along. Several hundred people with type 1 diabetes have received islet transplants over the past two decades. Results have been spotty. Many of these people have been able to stop taking insulin for at least a few months or years. Unfortunately, most patients have to begin taking insulin again within four years after the transplant. The procedure is far from effective and still being perfected. Hopefully, the plucky scientists at ViaCyte have improved the concept with their novel pancreas in a box technique. To be successful, the transplanted stem cells face many hurdles. First and foremost, they should proliferate. Secondly, they should differentiate into the type of tissue. The patient’s immune system presents another obstacle as these transplanted stem cells are sometimes rejected. Furthermore, the transplanted cells need to integrate with the targeted tissue, fully meshing with the host circuitry and restoring function. In addition to ViaCyte’s novel organic pancreas in a box concept, researchers are discovering other ways to use stem cells to restore lost beta cell function in patients with diabetes. Scientists are attacking the problem on multiple fronts. First, they are trying to use stem cells to replace lost beta cells. Secondly, they seek to induce the body to grow its own replacements, and lastly, researchers are working to protect beta cells from further damage. The first method generates new beta cells from stem cells and then transplants them into patients, just as the folks at ViaCyte did. These replacements supplement the beta cells lost as type 1 diabetes progresses. The technique isn’t hard to understand. Researchers first grow beta cells from either embryonic stem cells or iPSCs. These cells have the potential to be coaxed into becoming any cell type in the body, including glucose sensing, insulin-producing beta cells. Technicians can grow large numbers in the laboratory. Recent advancements in stem cell technology make this a very promising avenue for generating large numbers of replacement beta cells. The hard part of this approach is getting beta cells into a place in the body where they can work and then protecting them from what was damaging them in the first place. This includes transplanting them into parts of the body where the replacement beta cells are less likely to be attacked by the immune system. A novel method to accomplish this involves placing the cells into protective capsules. Such capsules are porous enough to allow small molecules such as glucose and insulin to pass through while protecting them from the immune system. 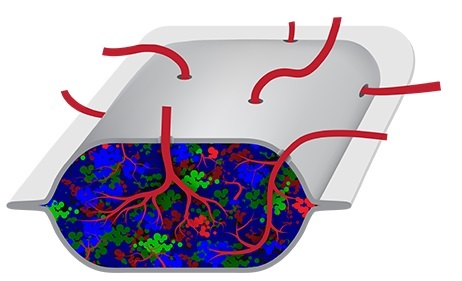 ViaCyte’s pancreas in a box follows this route because the implant doesn’t protect the caged beta cells from being attacked by the immune system, patients still have to take immunosuppressant drugs to keep the body from rejecting the implant. The second method under consideration is getting the body to produce its own, by stimulating beta cells to make much more copies of themselves. Beta cells in the pancreas already do this, but very slowly. Unfortunately, beta cells produce fewer and fewer copies as we get older. Scientists are looking for drugs that might enhance this self-renewal as a possible therapy for people with type 2 diabetes or early-stage type 1. In type 1 diabetes, the body’s immune system attacks insulin-producing cells. Rather than replacing the cells lost in battle, scientists plan to prevent the immune system from attacking the beta cells in the first place. Researchers think they are on to something and are currently conducting clinical trials to test whether blood stem cells or mesenchymal stem cells might reset the immune system so that it no longer attacks the beta cells. Unfortunately, medical science does not understand the mechanisms underlying this approach and still needs to perform more research to see if these techniques are safe and effective. Treating type 1 diabetes is but one application of a growing field. Every week, researchers are discovering promising new stem cell therapies. The pancreas in a box is the only stem cell-based solution. Doctors have yet to cure type 1 diabetes with stem cell-based therapies. Recent breakthroughs hold promise, however. Researchers are attacking the problem on multiple fronts, including using stem cells to replace lost beta cells, inserting beta cells enclosed in a pancreas in a box, getting the body to grow replacements, and preventing the immune system from attacking beta cells. With all these different treatment approaches in the pipeline, patients have high hopes that researchers will find a cure for type 1 diabetes. The pancreas in a box one way that researchers have fought off the stem cell decline that accompanies aging. What everyone should know about prediabetes. A recent study shows that forty percent of Americans will get diabetes. Taking this early action could help avoid the deadly effects of diabetes. Take these steps to prevent type 2 diabetes. The drug metformin was shown to prevent type 2 diabetes. Could drinking coffee prevent type 2 diabetes? Potential breakthrough diabetes treatments on the shelf and in the pipeline. Video – Can These Revolutionary Technologies Beat Aging in Our Lifetimes? Stem Cell Primer – What You Need to Know. Latest breakthroughs in stem cell therapy. 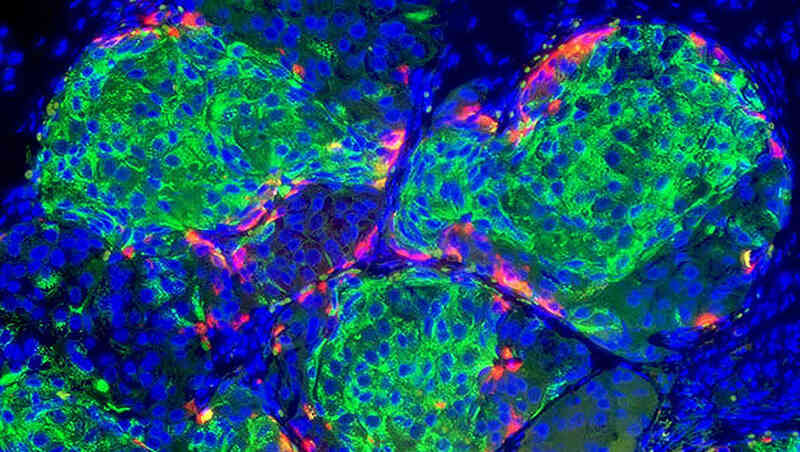 Researchers grow functioning human kidney tissue with stem cells. Researchers report a breakthrough in human lung regeneration. Daniel Clery. A Pancreas in a Box. Science. 10 Jan 2014, Vol. 343, Issue 6167, pp. 133-135. DOI: 10.1126/science.343.6167.133. Available Online. Diagnosis, Advice, and Treatment: This article is intended for informational and educational purposes only and is not a substitute for professional medical advice. The information provided in this report should not be used during any medical emergency or for the diagnosis or treatment of any medical condition. Experimental therapies, such as the so-called pancreas in a box are not FDA approved and present additional risks when compared to approved drugs. Consult a licensed physician for the diagnosis and treatment of any and all medical conditions. Call 911 or an equivalent emergency hotline number, for all medical emergencies. As well, consult a licensed physician before changing your diet, supplement or exercise programs. Photos, External Links & Endorsements: This article is not intended to endorse companies, organizations or products. Links to external websites, depiction/mention of company names or brands, are intended only for illustration and do not constitute endorsements. Can insulin resistance be reduced enough through healthy lifestyle and demonstrated long-term weight loss in some Type 2s (for example, those who have undergone bariatric surgery) that stem cell therapy might be a viable treatment?